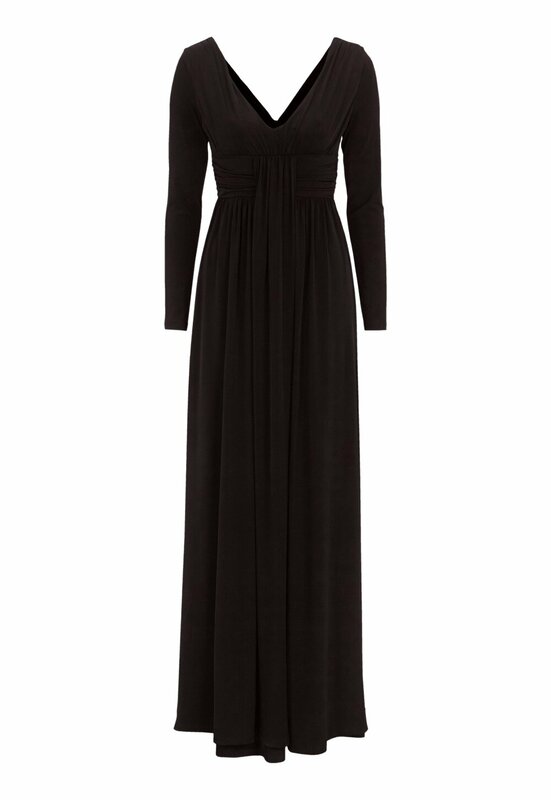 Elegant, draped, long dress in tricot from CHIARA FORTHI. The dress has a plunging neckline both front and back. Total length of dress in size S: 150 cm.